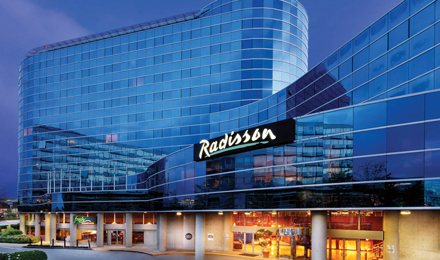 Combing historic elements like the stunning 1850s sandstone facade with contemporary features like an on-site spa, the 5-star Radisson Blu Plaza Hotel Sydney offers an intimate, boutique atmosphere. Once home to the Fairfax newspaper empire and the prestigious Bank of New South Wales, this 5-star hotel accommodation is located in the Sydney CBD, close to the Sydney Opera House. Guests can enjoy one of Sydney’s best high teas in the comfort of The Fax Bar or the contemporary cuisine of two-hatted Bentley Restaurant & Bar, and then retire to their plush room for a soak in the extra-deep tub. Organising a special event? The Sydney High Tea and our flexible meeting rooms can take your gathering or corporate conference to the next level. Enjoy an outstanding dining experience at Sydney's best restaurants, two-hatted Bentley Restaurant + Bar, The Fax Bar and our gourmet breakfast restaurant the Lady Fairfax Room. Utilise the health club for your workouts, or book a luxurious treatment at the on-site Evangeline's Hair & Day Spa. Let us assist you in hosting your company's conference in one of the nine event rooms, including two beautiful heritage rooms. After a busy day in Sydney, return to your comfortable hotel room's plush bed, large windows, extra deep bathtub and delicious room service options. Pick from a wide range of room types, from the standard Atrium Room to the luxurious Spa Suite. This boutique hotel's 336 stylish rooms and 26 chic suites in Sydney are 100% non-smoking, and a number of adjoining rooms and accessible rooms are available for your convenience. Accessible Rooms are similar in style to the Atrium Rooms but feature larger shower facilities, an adjusted bed, desk and basin height and an accessible toilet. While staying at Radisson Blu Plaza Hotel Sydney, you have the option of two award-winning restaurants: Bentley Restaurant & Bar and Bistro Fax Restaurant. Enjoy a drink alongside the classic Bentley sandwich in Bentley’s lower bar area, or make reservations in the separate dining room. Bathed in natural daylight from big, Gregorian-heritage windows and designed in relaxing colours, Bistro Fax creates a chic ambience for the ultimate dining experience. Guests can indulge in the full buffet breakfast or order from the extensive à la carte breakfast options. 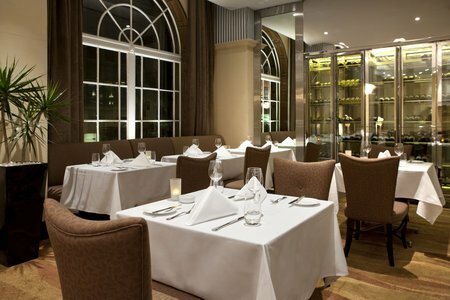 Dinner is available for Sunday nights only but boasts first-class service and an extensive wine selection. If you wish to dine in the comfort of your Plaza Hotel Sydney room, the hotel also offers 24-hour room service.